March 1, 2018 in Musings and Commentaries: Solo female travel in Latin America: my experiences and why you should go for it! January 11, 2018 in Transport: Uber in Bogota: the big debate! July 23, 2016 in Secret Bogota: 8 great markets in Bogotá – and where to find the best prices! 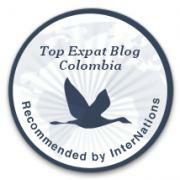 November 3, 2015 in Life in Bogotá: 10 Bogotá anecdotes which made me Bogo-smart! Uber in Bogota: the big debate! 8 great markets in Bogotá - and where to find the best prices!